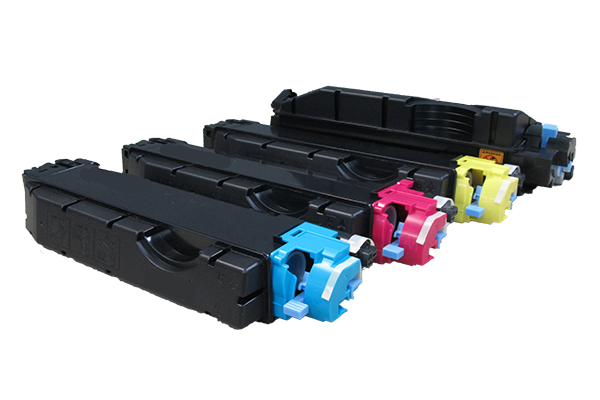 TK-5142 CMYK toner for use in Kyocera MFPs from Polek & Polek | Industry Analysts, Inc.
Polek & Polek, headquartered in New Jersey, is a well-known distributor in the imaging industry. Family-owned and operated for 2 generations, Polek & Polek has been increasing imaging dealers’ profits since 1974. We are a leading distributor of MFP, copier, fax, and printer supplies and offer a wide line of compatible products for use in the most popular brands; products such as toner, toner cartridges, developer, photoreceptor drums, kits, fuser and cleaning rollers, blades and more. This entry was posted in Polek & Polek and tagged kyocera, MFP, Polek & Polek, print, TK-5142, toner by IA Staff. Bookmark the permalink.